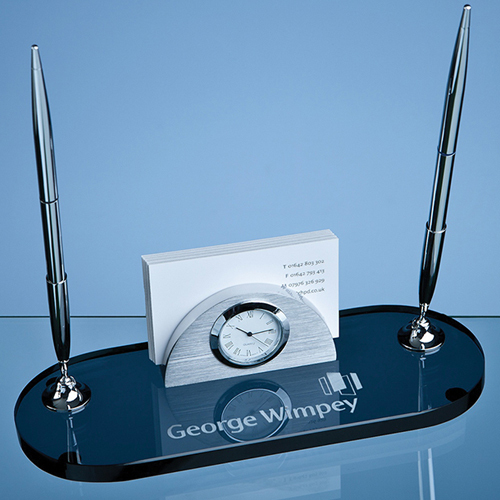 An exquisite executive desk set that combines an oval smoked glass base with a brushed aluminium business card holder/clock and 2 polished chrome pens and stands. The desk set is an ideal way to get your company logo and telephone number onto your customers desk with a gift that will be used on a daily basis. The smoked glass base can be personalised with any logo, crest or wording to create a gift that is sure to be treasured by the recipient.